From the creators of delicious Apple Cider comes another amazing innovation; Somersby unveils its latest addition to the collection! 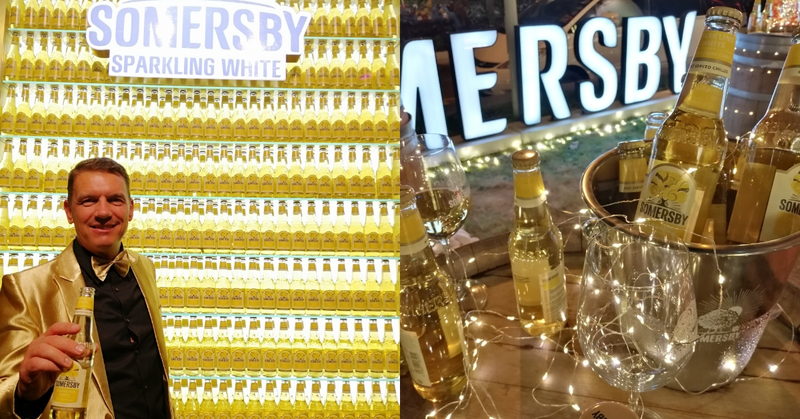 Revealing the launch of Somersby Sparkling White Cider at The Majapahit @ MARC Residence, KLCC. Joining the ranks of ciders such as the original Apple Cider and Sparkling Rose, Sparkling White is equally refreshing and crisp, leaving you wanting for more of its fruity white wine aroma. With a brief welcome note from the event’s emcee, Lars Lehmann, Managing Director of Carlsberg Malaysia took to the stage to officially launch the product nationwide dressed in style. Best paired with food, guests were treated to an amazing spread known as a smorgasbord, filled with delicacies made up of oyster, shrimp, cold cuts, cheese and even a selection of crusty bread but not before introducing another treat to the guests, a live band performance featuring vocalist, Janet Lee. With stomachs full and eats smitten from the lovely serenade, paired with Somersby Sparkling White with its refreshment of a cider and taste of white wine, to which Malaysia is the first to launch this brand new bubbly cider outside of Europe, the night was surely a heavenly experience for those that were there. It’s safe to say that the Sparkling White is a great substitute for wine or champagne at an affordable price. Here’s to hoping that Somersby will continue to innovate and lead the pack with its creative and delicious new combinations for cider!